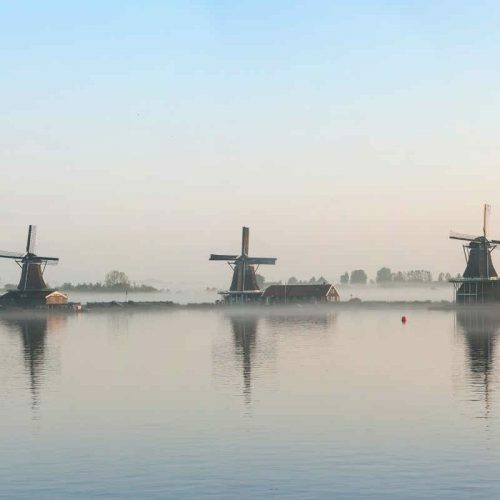 The famous tourist attraction in Zaandam -to the north of Amsterdam- called The Zaanse Schans receives 1,5 million tourists per year. 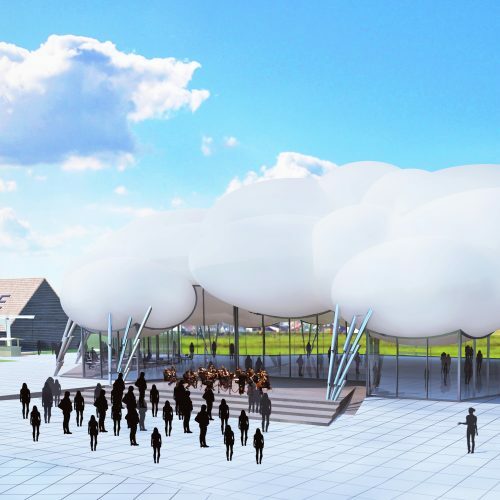 An increase towards three million is expected for the future years. 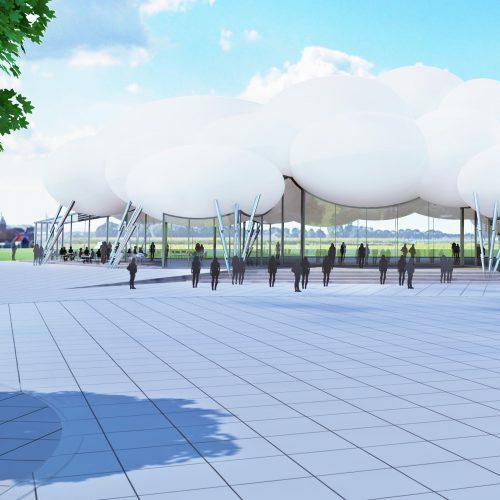 Yet the area lacks a proper entrance and welcome to these huge amounts of visitors. 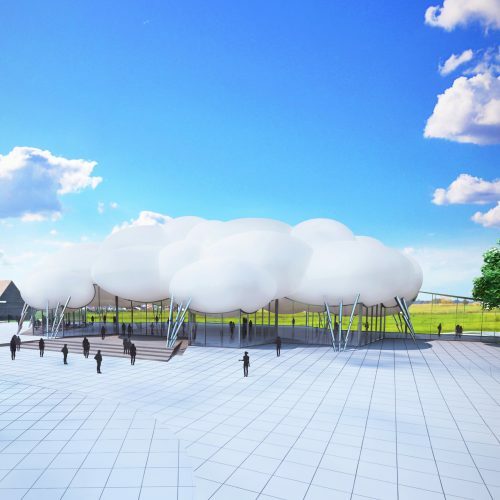 The aim of the new visitors centre is to welcome, inform and guidance those interested in the history of the region and a visit to the typical traditional windmills. 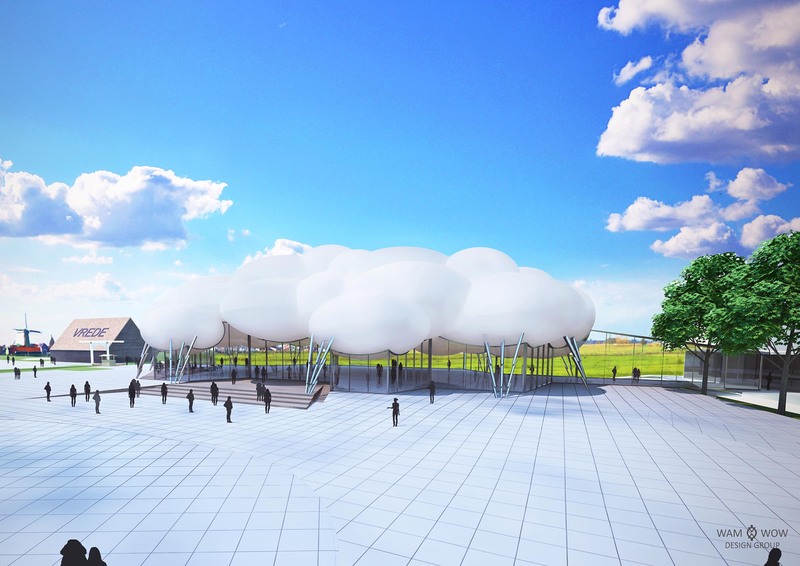 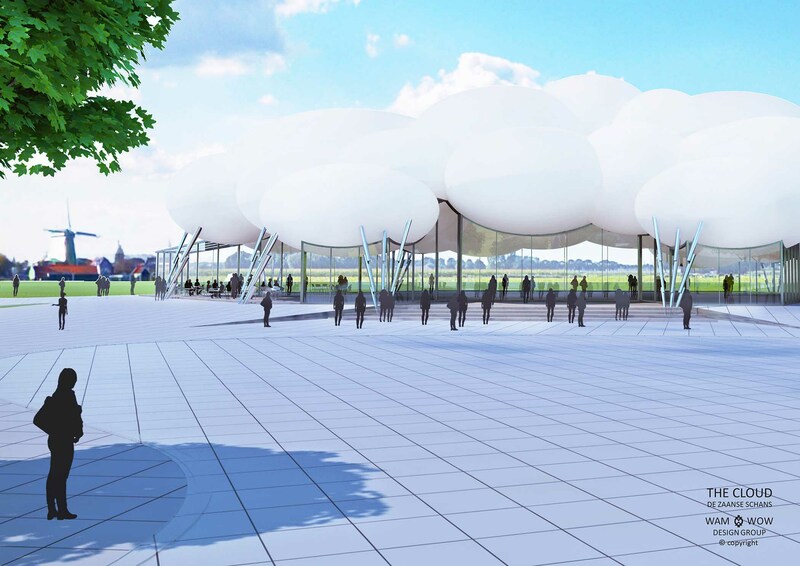 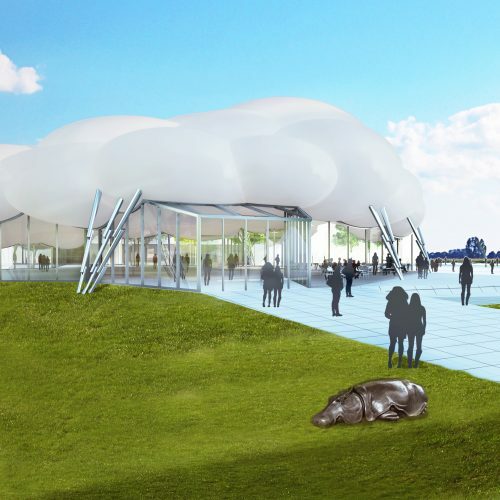 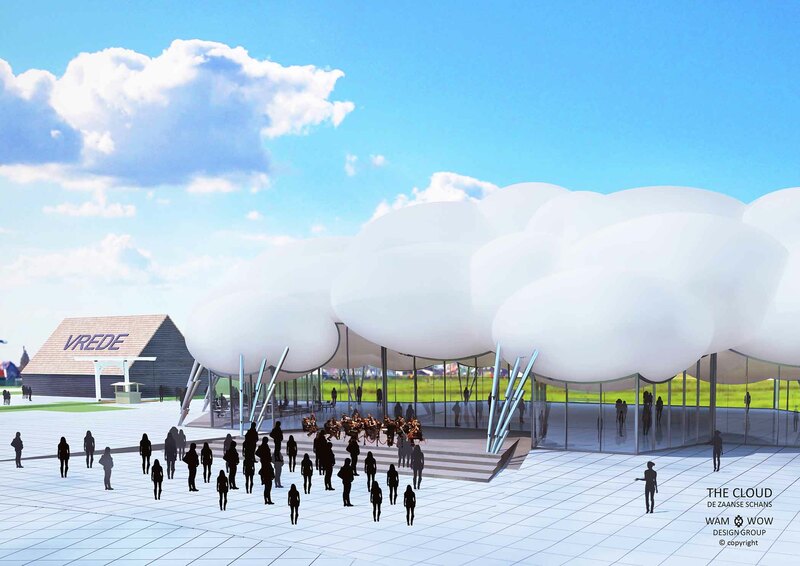 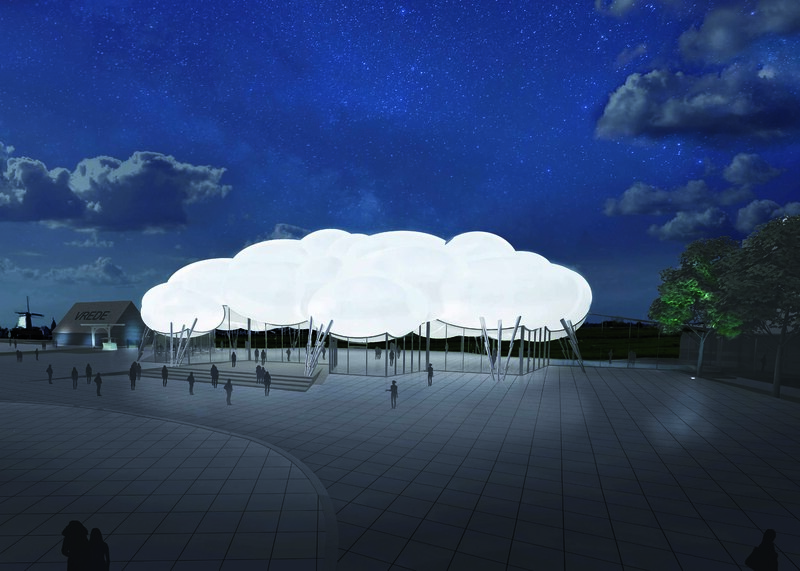 The new centre aims to connect the open air Zaanse Schans with the Zaans museum. 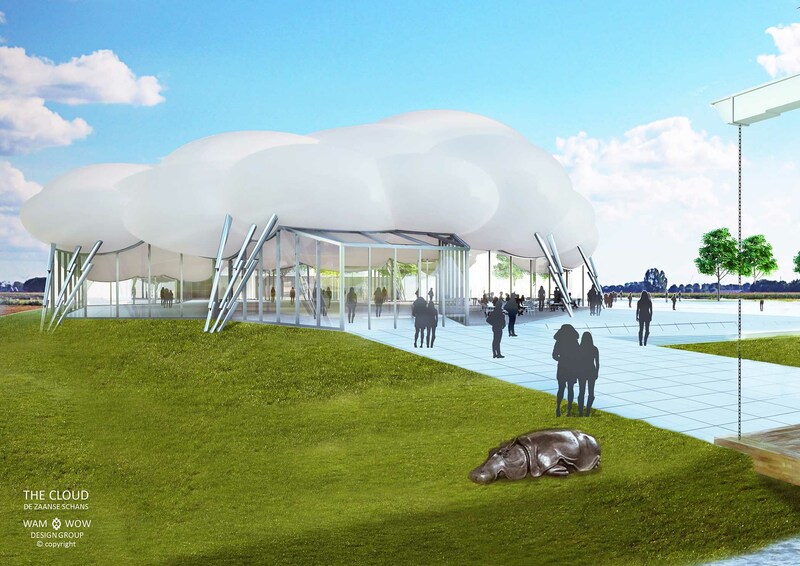 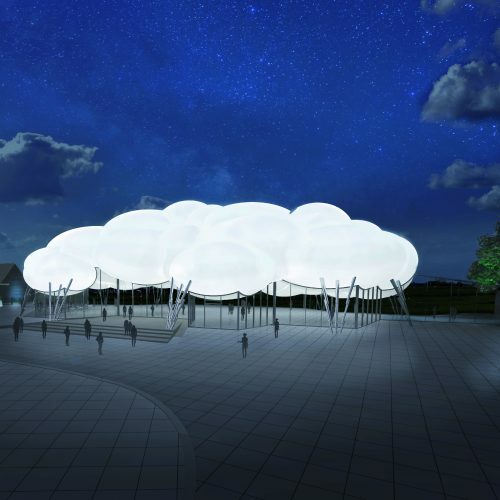 The building took the shape of a cloud that fits perfectly in the panorama of the typical traditional landscape. 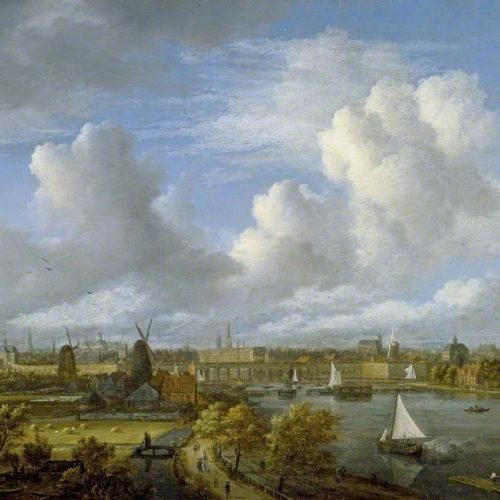 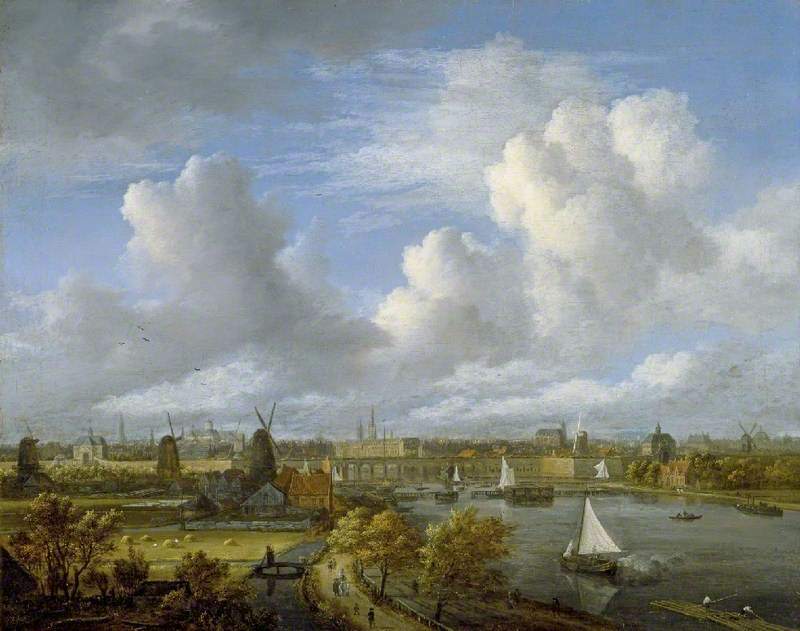 In doing so making a strong link to the tradition of the Dutch landscape painters like Ruysdael and Gabriёls and the spectacular cloudscapes.